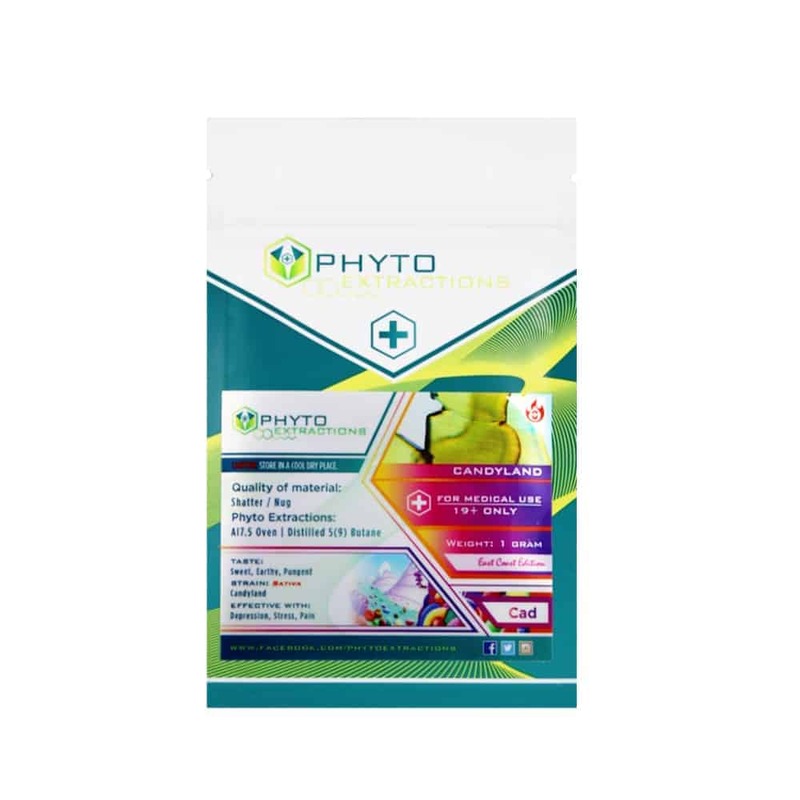 12 reviews for "Phyto – Candyland – Sativa Shatter"
Consider yourself in candyland after having this product! It’s amazing! Great flavor and goof sativa high ! Oh god the taste of that thing is amazing. The sweet flavor was spot on with this shatter. I freaking loved it! Love the taste! Very good stuff. Best tasting phyto product I’ve had in awhile.. very sweet unique taste. I bought this for Halloween for an adult treat hehe deffinitly hit the spot!! However taste was better then the high! Stable solid shatter, Yellow in color. Would like to play the game and smoke the strain one day !! Love this one, phyto is also my favorite.. Ive never been disappointed yet. Candyland is great for day time or first thing in the morning to get you going. Have tried a lot of Phytos and Candyland is up there for taste! Gives a sweet mellow taste and an energetic buzz. Great stuff, but then again i’m usually pretty happy with most of products I’ve tried from Phyto this sweet dirt tasting stuff is awesome all the way around. Smooth pull and exhale, nice energy and stress relief and I would like to say a bit mood enhancing.